From seaside fishing villages to European produce stands, woven net bags have been in continuous use for centuries. 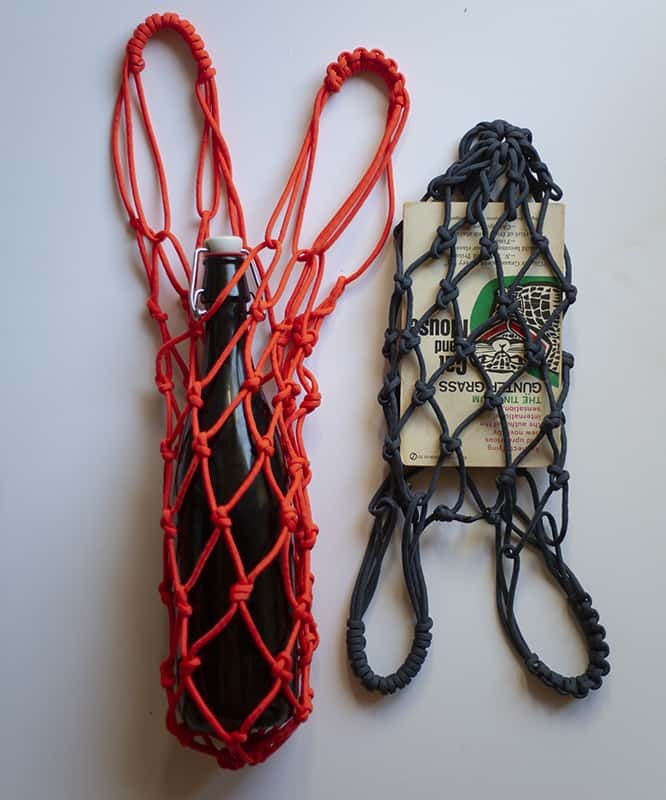 In this class, students will learn to make a woven net bag suitable for a wine or water bottle, or a few items from the farmers market. Sarah will guide students through the art of tying knots, teaching several versatile knots, as well as how to properly use a netting needle and shuttle. Sarah will present on the history of net-making, and share examples of netting used in contemporary art. Each student will leave with their own woven net bag to use for years to come.